This guide highlights some common issues that can occur when integrating EZRentOut with QuickBooks Online, and shows you how to fix them for a seamless transfer of data between the two applications. 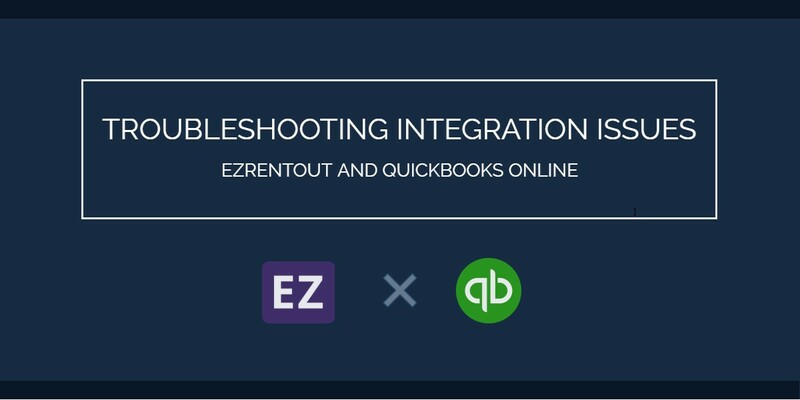 To learn more about setting up this integration, read our blog on Integrating QuickBooks Online with EZRentOut. QuickBooks only allows unique Display Names in its customer listings. If your EZRentOut customer listing has more than one customer with the same name, the sync will fail. You also receive the same error if a business name and a customer name are the same in EZRentOut. In order to fix this, you will have to edit the QuickBooks Display Name field on the conflicting customer’s detail page from your EZRentOut account. This field only appears once your EZRentOut and QuickBooks accounts are connected. This error appears if you try syncing an order again, after changing the tax settings for a customer or an item. To fix this problem, try reverting to the original tax settings for the concerned customer or item by going to their detail page and syncing the order again. Any actions other than creating, updating and deleting payments do not transfer from QuickBooks to EZRentOut. If you receive an error stating that an invoice number is deleted or marked ‘Inactive’, this implies that you are trying to edit invoices from your QuickBooks account. All actions other than creating, updating and deleting payments should be taken from EZRentOut. An alternate workaround is that you unlink and relink your QuickBooks account from your EZRentOut Settings. Default invoice line items that are outside the order total do not sync to QuickBooks. This is because QuickBooks does not allow for any line items outside the order total. If you still want to import these invoices, you will have to set all default invoice line item values to 0, or delete them and sync again. 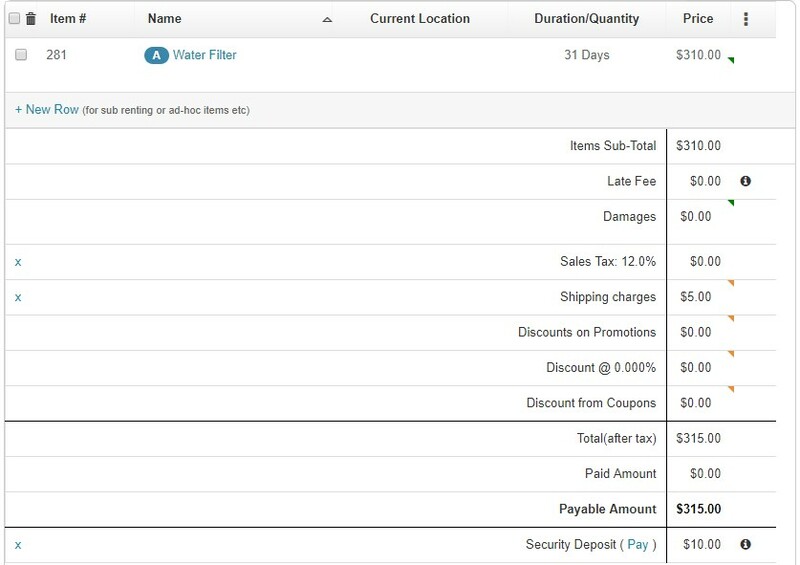 In this example, the Security Deposit invoice line item outside of the order total will have to be set to $0 or deleted using the cross icon on the left. 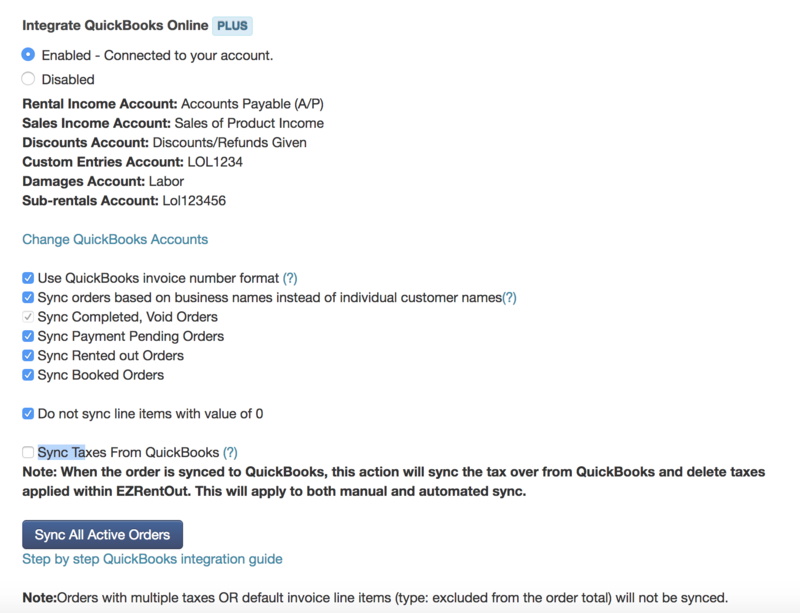 In older QuickBooks versions, you have to manually add taxes to your QuickBooks account. This means you have to replicate the name and rate of all applicable taxes in EZRentOut to your QuickBooks account. From your EZRentOut account, go to Settings → Company Settings → Policy → Tax Details to view your taxes and their rates. Now, replicate these taxes to your QuickBooks account. Under Settings → Add Ons → Integrate QuickBooks Online, ensure that none of the account fields are mapped to Accounts Receivable and Accounts Payable. 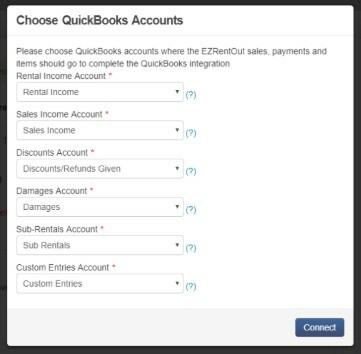 Another word of caution: always choose all the QuickBooks Accounts manually when configuring the QuickBooks integration from your EZRentOut account. If you directly press Connect, all the accounts will be mapped to Accounts Payable (since it is the first option in the dropdown menu). These two accounts are reserved for QuickBooks’ internal reporting and hence, cannot be synced over from QuickBooks. If your EZRentOut customer has a colon (‘) in their name, you will have to edit their QuickBooks Display Name and remove the colon from it. A colon is used to show a relationship in QuickBooks, which is why using it in names leads to exceptions. Note: Typewriter apostrophes aren’t supported in QuickBooks and will be edited to a regular apostrophe wherever used. When you are auto syncing Orders, you might notice that the process takes a long time. 10 Orders sync in about 2 hours on average, but could even take 6 hours in some cases. This happens because the QuickBooks API has limitations that restrict instant auto syncs. Rest assured, the auto sync will eventually run its course. A summary will be emailed to you at the end. This error shows up if you created an item in QuickBooks, synced it to EZRentOut, and then made it inactive in QuickBooks. In order to sync again, the item has to be marked as ‘Active’ again on QuickBooks.